Summer is rolling on…and stocks have taken to the beach for the most part, so we should follow. The metals were looking fine…but are now acting choppy. Consequently, I’m reducing some miners, but still holding a bit. This time of year is famous for chop and no trend…so it’s best to keep a high cash position in my view, of course, this can change. Gold lost just 0.84%...and isn’t acting great now. 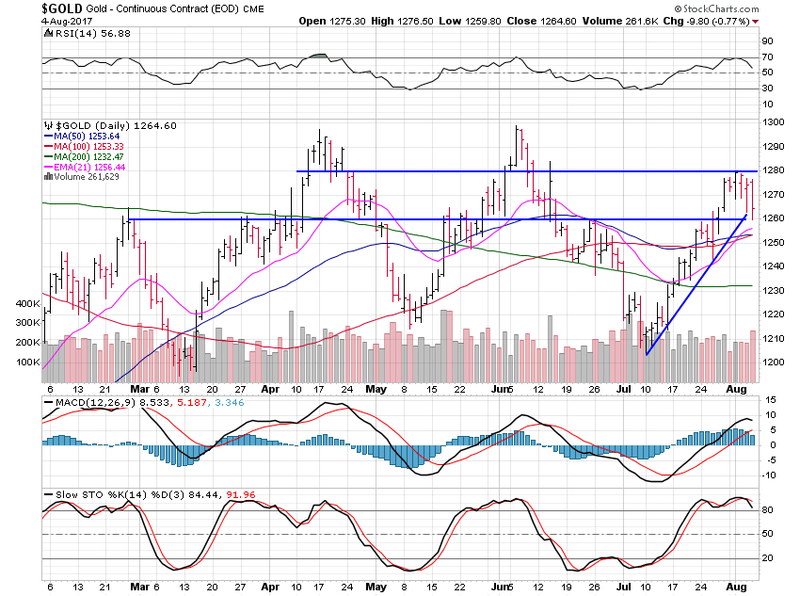 Gold couldn’t muster the strength above $1,280 on the way to $1,300 resistance. Nonetheless, it is holding up above $1,260 for now, but barely. The uptrend line beginning at $1,200 is in jeopardy of being broken which would likely lead to a large move lower back to at least $1,220. Silver prices were weak and fell 2.65%. The uptrend line has been broken and on heavy volume, which tells me it’s going lower soon. 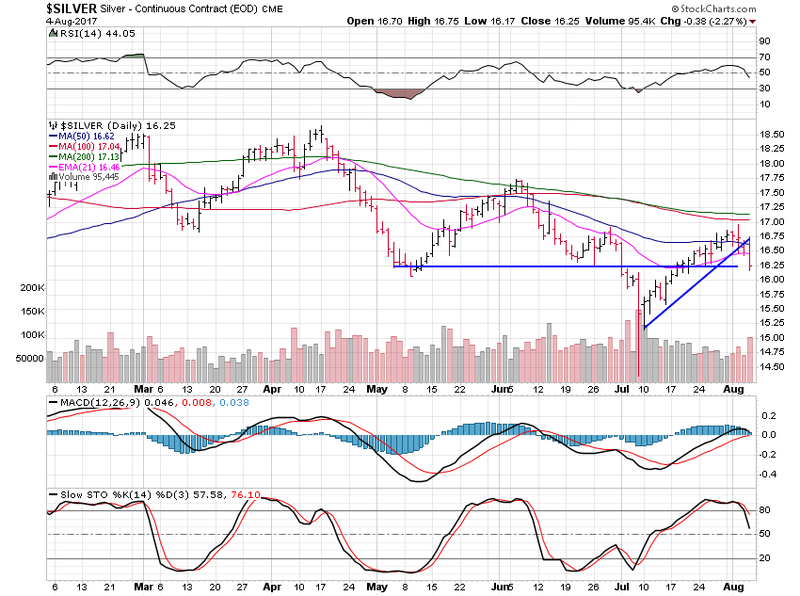 We’re holding the $16.25 support level…but likely not for long. Platinum was quite strong and broke higher by 3.46% Great action for sure. 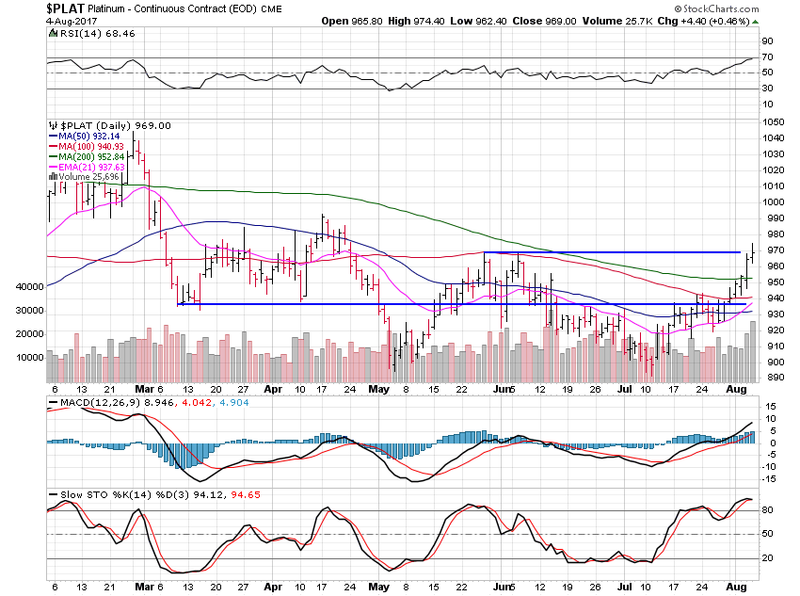 However, chances of moving above $970 are slimming with gold and silver looking to roll lower. 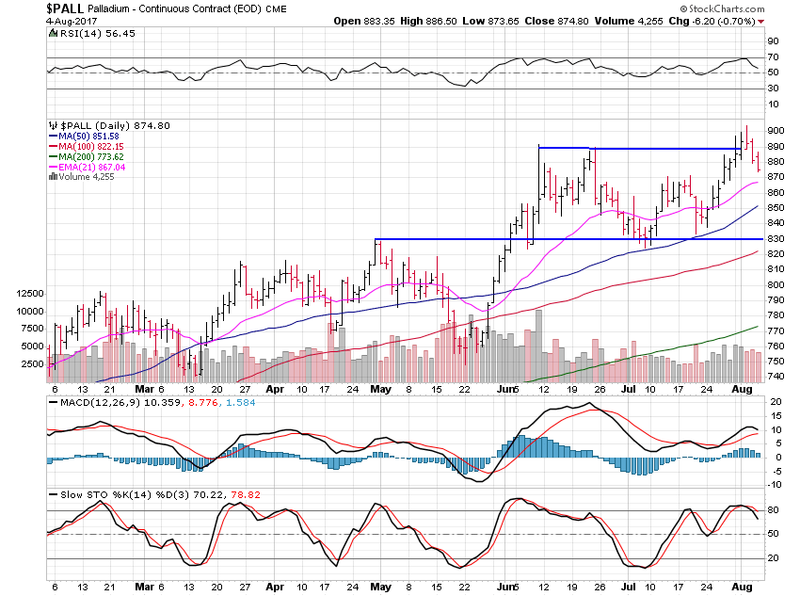 Palladium tried to break higher but reversed and ended down 0.61%. The breakout of the range above $890 couldn’t hold with gold and silver weakening. Consequently, look for a move back to $830 at the lower end of this range. Have a great weekend and keep things small in order to not get chopped up this summer. In my free, nearly weekly newsletter I include many links and charts which cannot always be viewed through sites which publish my work. If you are having difficulties viewing them please sign up in the right margin for free at www.wizzentrading.com or send an email to warren@wizzentrading.com with “subscribe” as the subject and receive the newsletter directly in your inbox, links and all. If you would like to subscribe and see what my portfolio consists of please see here. The free weekly newsletter “Wizzen Trading” does not purport to be a financial recommendation service, nor do we profess to be a professional advisement service. Any action taken as a result of reading “Wizzen Trading” is solely the responsibility of the reader. We recommend seeking professional financial advice and performing your own due diligence before acting on any information received through “Wizzen Trading”.